I have had this paper pad in my stash for forever, I would look at it and admire it but never used it. The pad has these pretty designs pages then coordinating solid colours for layering. 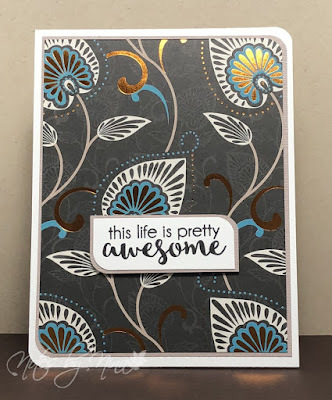 I used the corner chomper to round the corners of the base layers, then stamped the sentiment and did the same. The sentiment is popped up with foam tape. 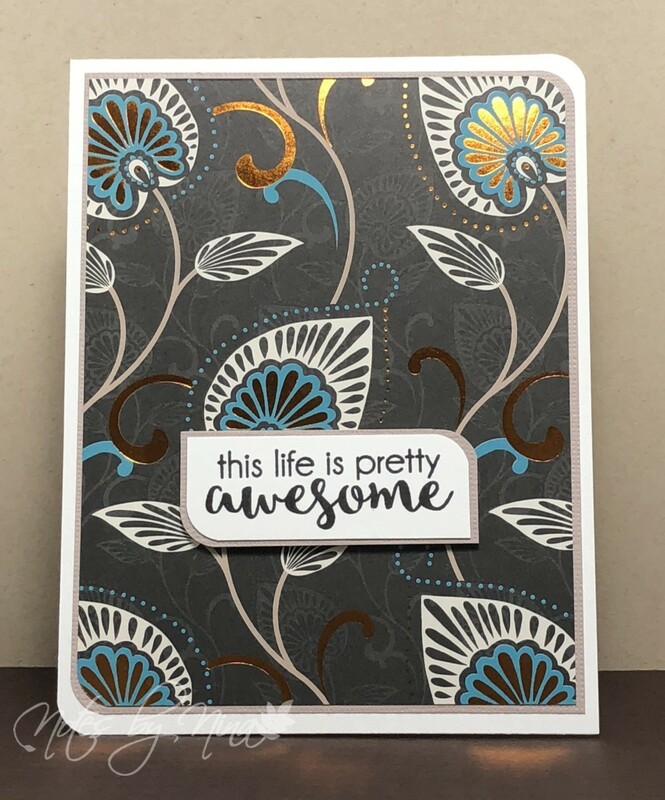 There is tons of glimmer in the pattern so I did not want to add anything else to this CAS card. Supplies: White Cardstock, Designer Paper - SEI, Technique Tuesday - DragonFly.